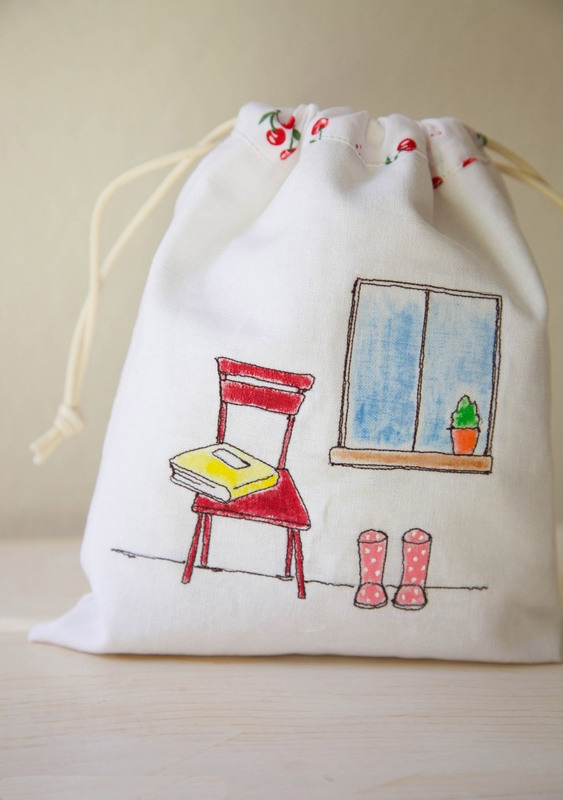 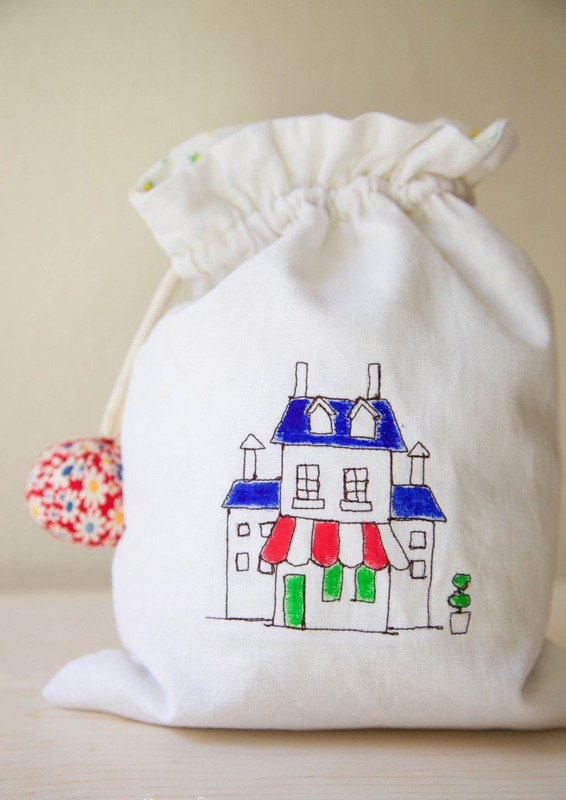 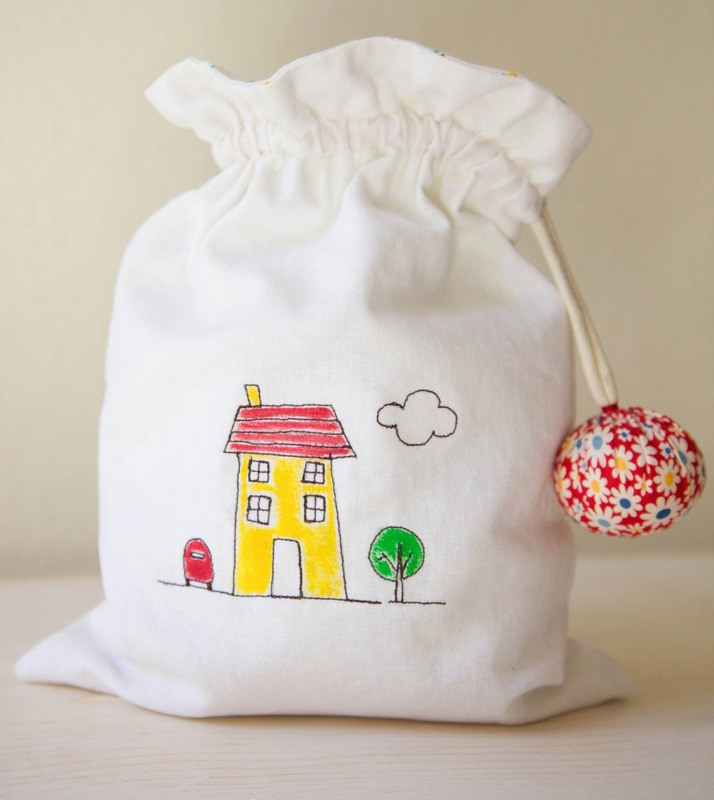 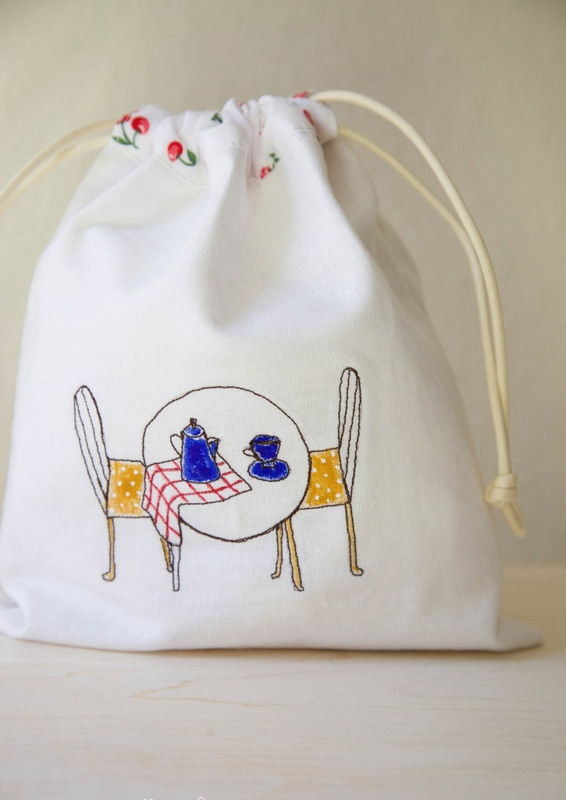 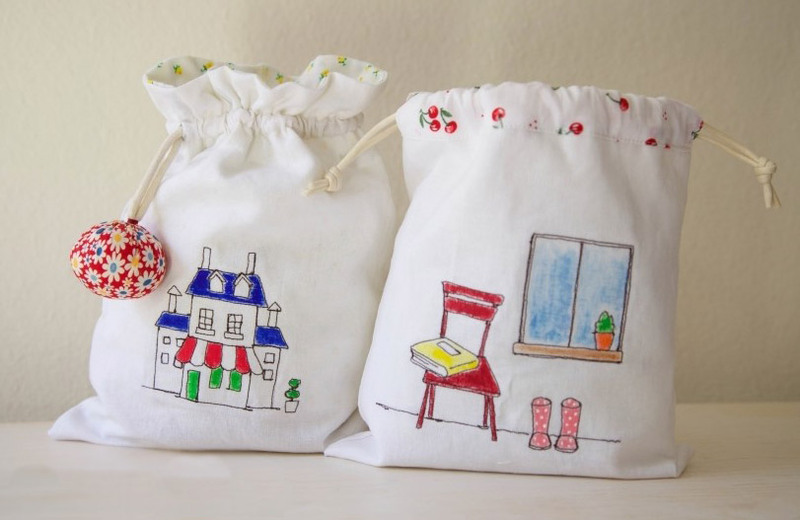 Drawstring Bag with Illustrated Fabric ~ DIY Tutorial Ideas! 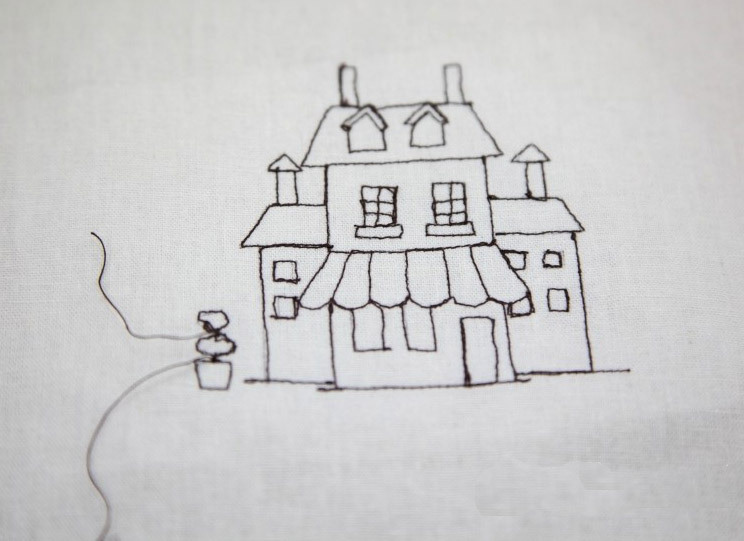 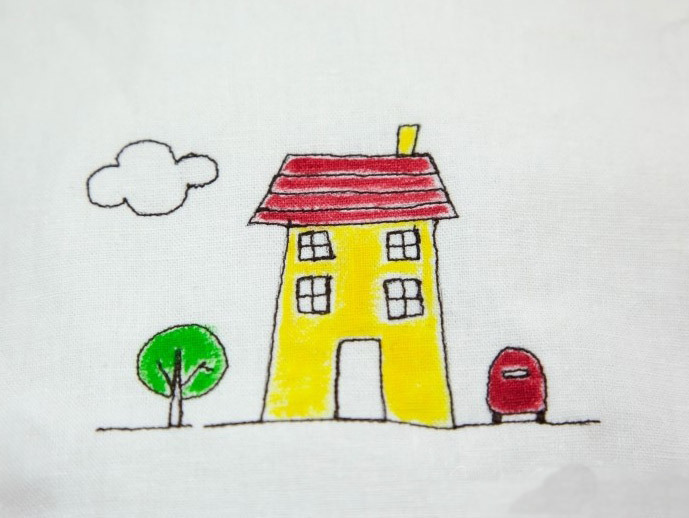 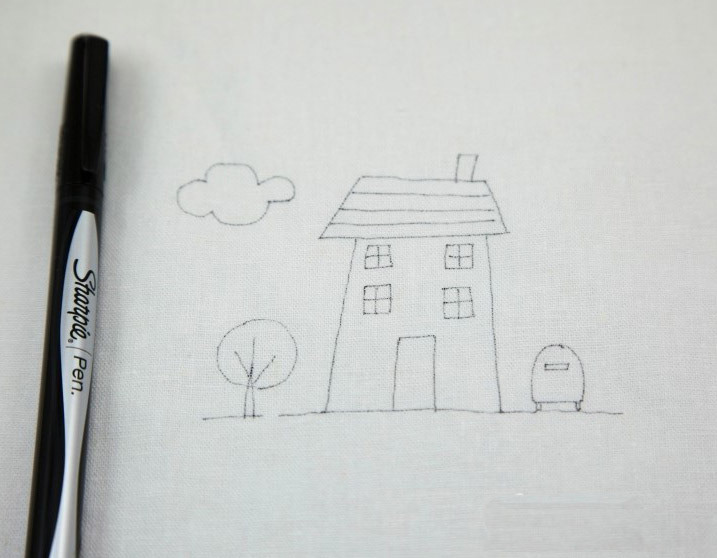 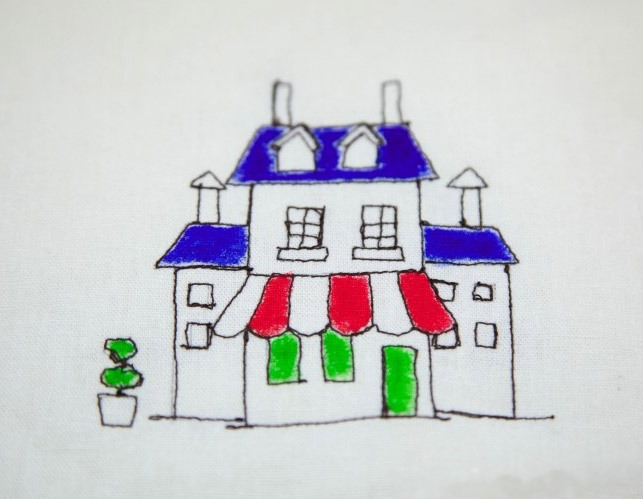 Draw a simple house, a tree, a car and a cloud with Sharpie or erasable pen. 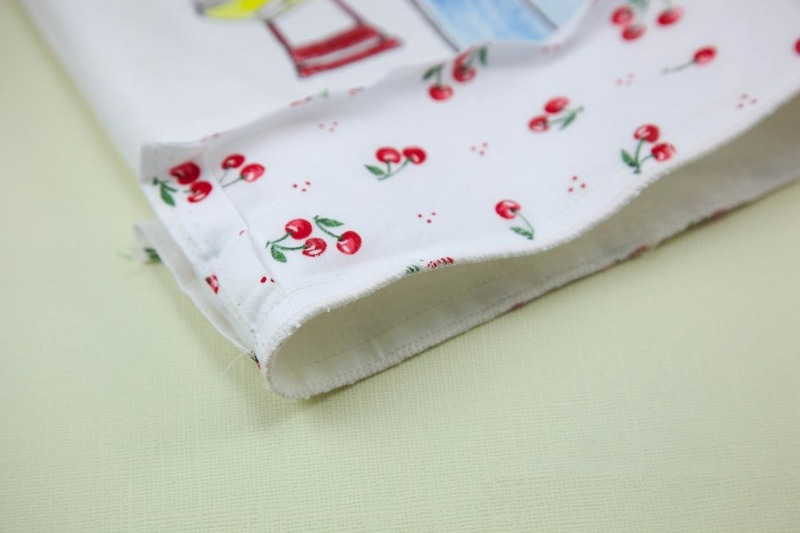 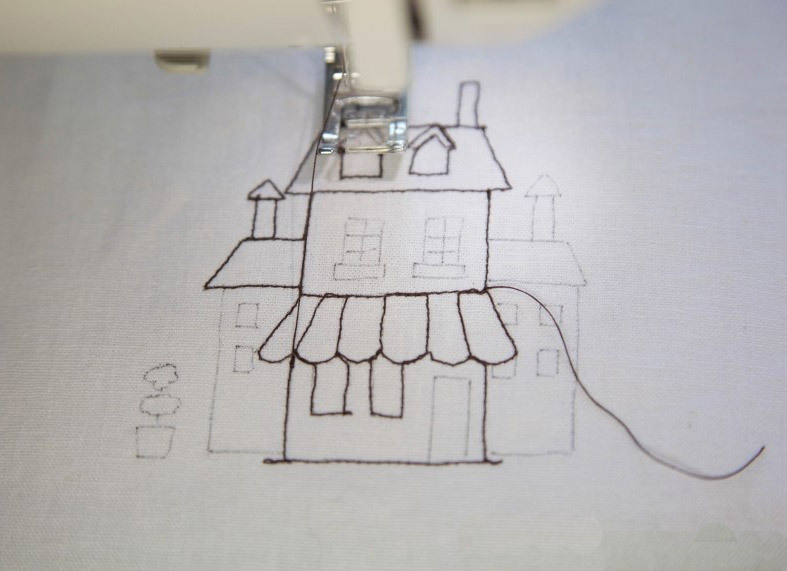 Sew the sketch with sewing machine. 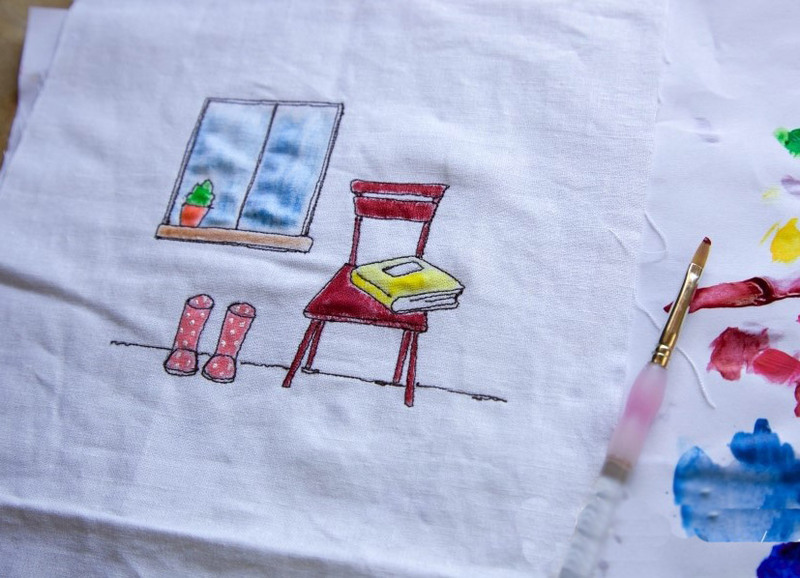 And mix acrylic paint and water 5:5 and color the fabric. 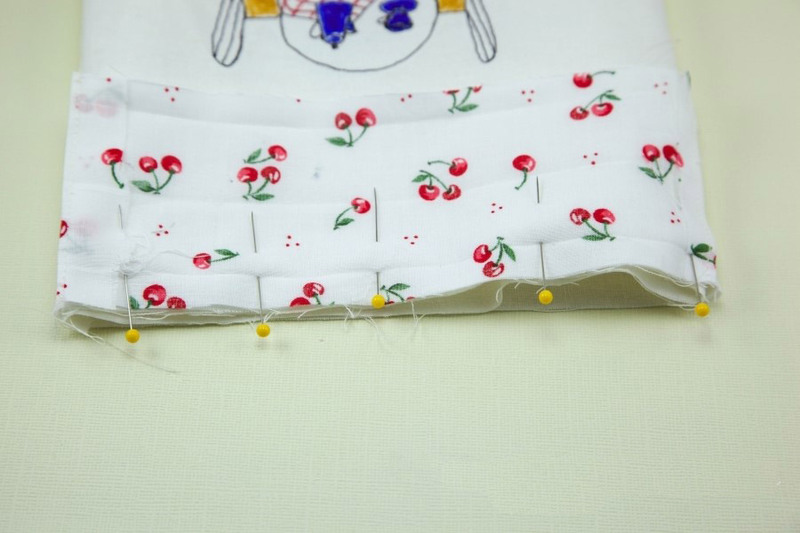 Hand stitch multiple times to secure. 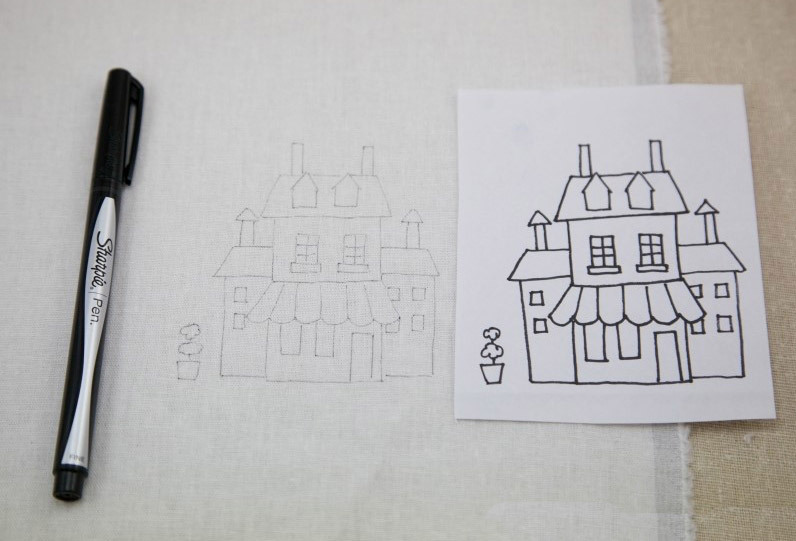 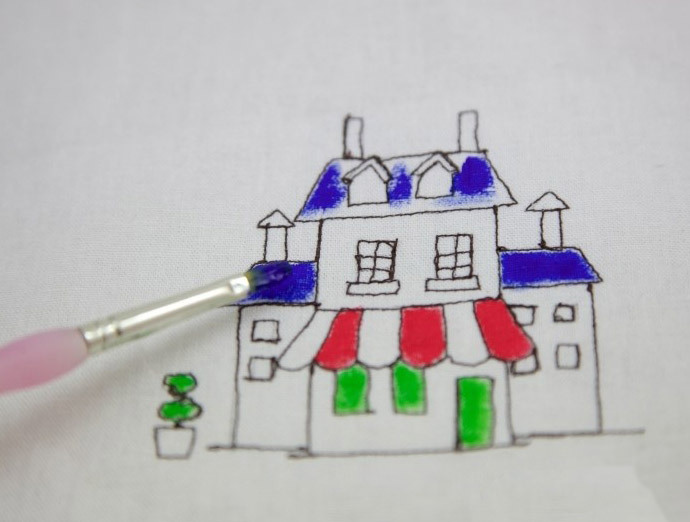 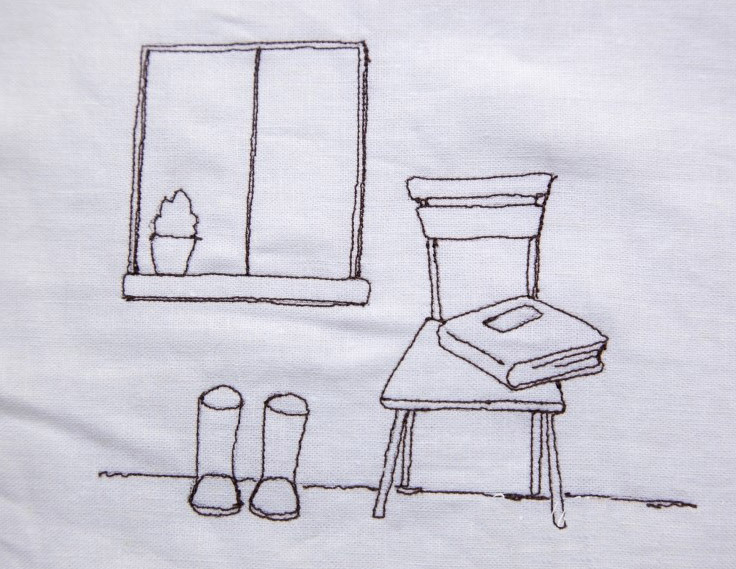 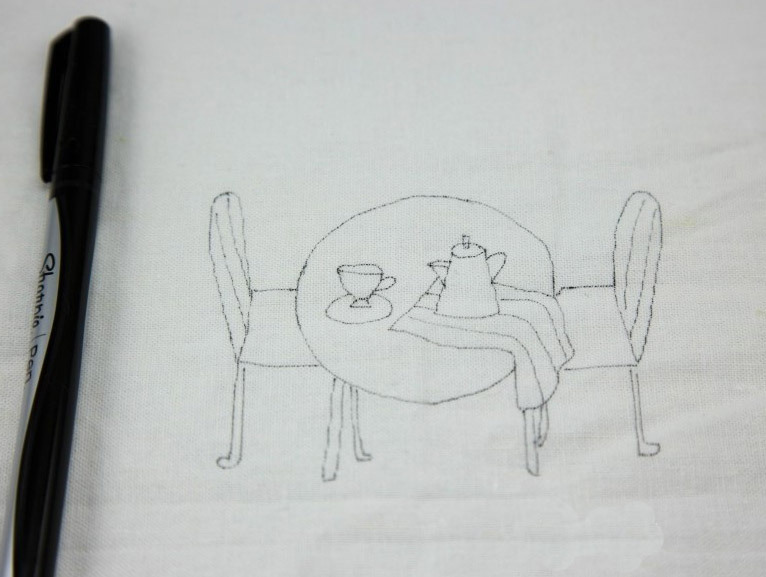 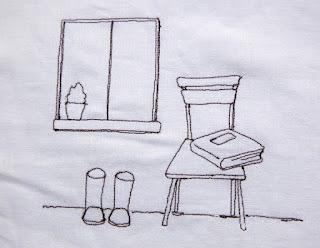 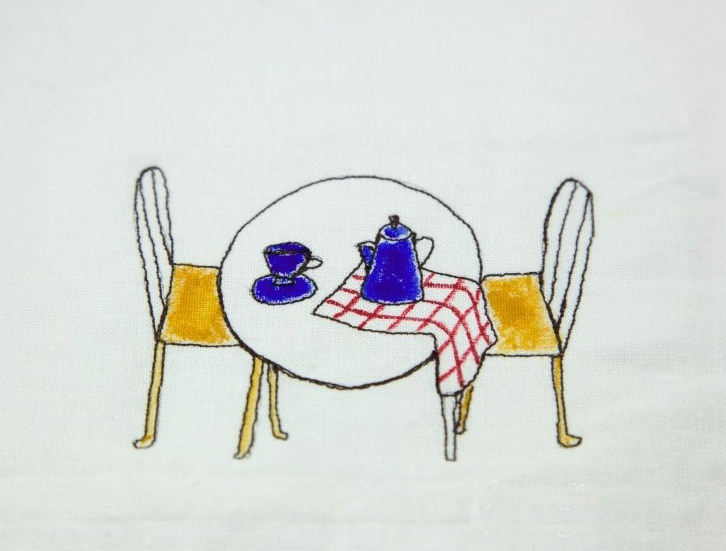 If you are not familiar with free hand machine embroidery, hand stitch would work beautifully. 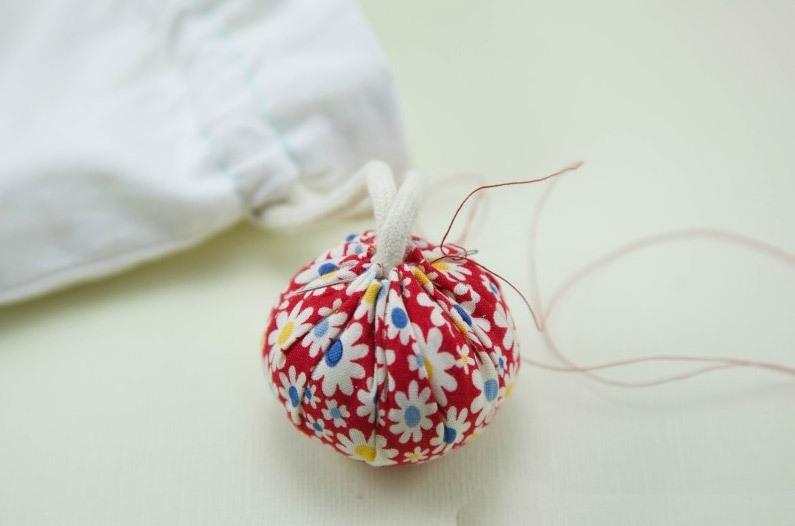 Make a simple drawstring pouch and insert the string. 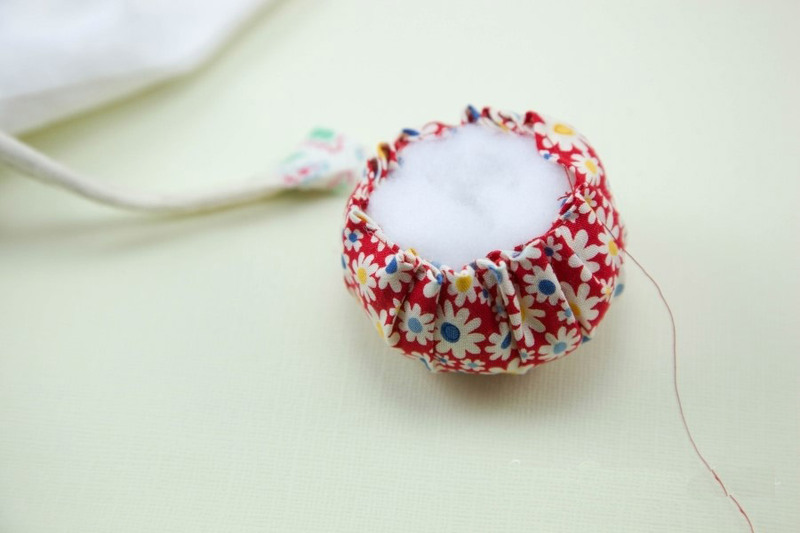 For the ending, make a yoyo and fill in batting. 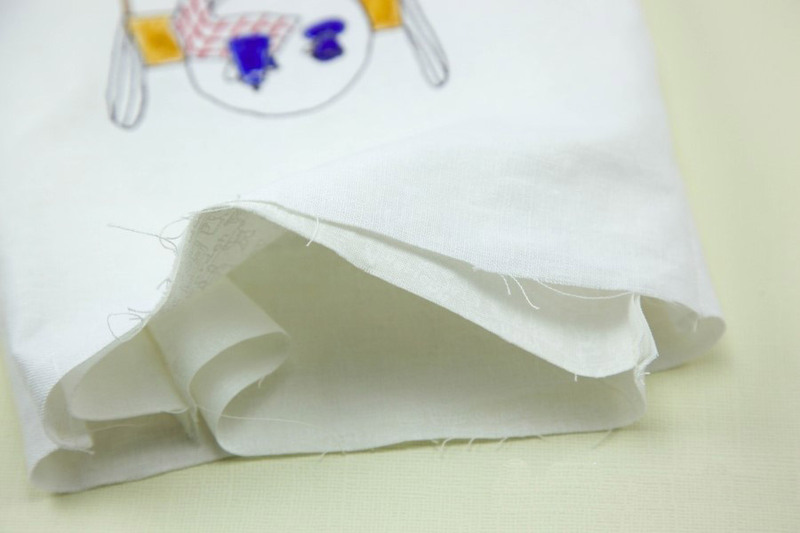 Pull the thread and insert the end of string in in.